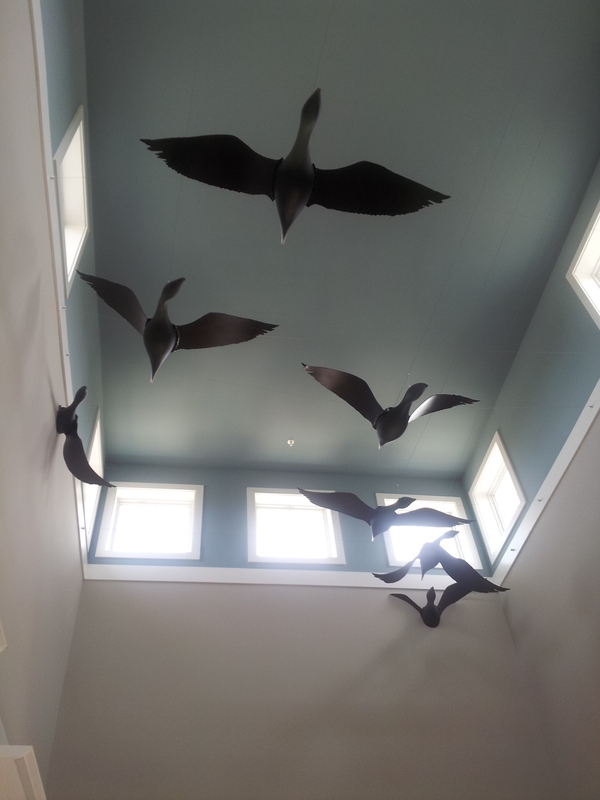 I spent most of the day at The Apartments at Goose Creek, one of our projects that has just opened in Fishersville, Virginia. This is another project put together with our most prolific client, Denstock LLC in collaboration with repeat contractor, KBS Incorporated. This group has teamed on a couple of projects already and we have four more on the boards. One of the highlights of the day was the test of the aquatic wheelchair by rolling it down the ramp into the pool, turning it around in three feet of water, and rolling it back up the ramp onto the pool deck. The aquatic wheelchair is available to residents who would not otherwise be able to use the pool. The pool design was the result of a collaboration between developer Denise LaCour and Adrienne Stronge, CSI of our office. The obvious feature is the access ramp that takes you into the pool regardless of ability. The pool also features an elliptical splash pad with vertical water jets for those hot summer days. The splash pad is also accessible. The ramp follows the edge of the splash pad which is the smaller of two overlapping ellipses, the second being the pool itself. There is a tiled bench wall, also an elliptical edge, that allows one to sit and enjoy the pool from the middle without getting wet. The decision to install the ramp arose from the fact that using a lift calls attention to a person’s disabilities and would only useable to a small percentage of the resident population. By utilizing a ramp as an integral part of the design, in addition to the wheelchair bound individual that can now use the pool, there is a safe route for our older residents to enter the pool without fear of falling down stairs. 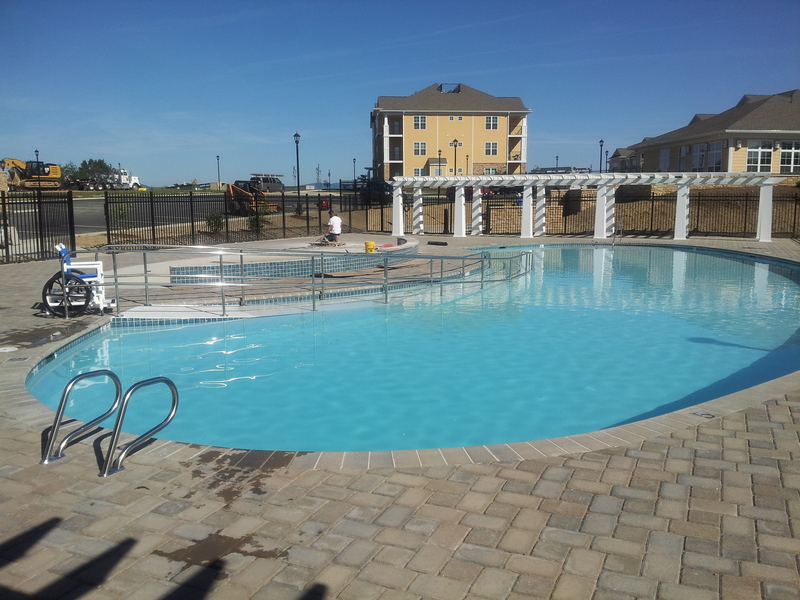 This pool is just one of many features of the project that were designed to be accessible to all of the residents. We are making a concerted effort to include more than simple compliance with accessibility laws, after all, simple compliance is the LEAST anyone could legally do. The design of this project furthers our calling as a team to provide shelter to all individuals.